The People’s Protection Unit (YPG) is the military arm of the Syrian Kurdish Democratic Union Party (PYD) but Turkey considers them as a threat to its national security and believes that they are a close ally of the Kurdistan Workers Party (PKK) that it has been battling for decades at the northern part of its border with Iraq. Kalin admitted that “negotiations are still ongoing”, probably with the US, but there is yet to be agreement because “our principled stance is the same as it was with Manbij and Jarablus” when Operation Euphrates Shield was launched almost a month ago. Ankara is planning to launch an offensive on the town of Al-Bab before attacking Raqqa, Islamic State’s self-declared capital, according to Foreign Minister Meclut Cavusoglu. 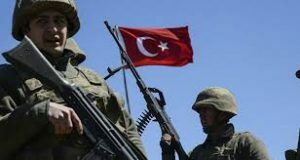 Turkey is not comfortable having armed Kurdish groups along its border as the conspiracy of the Kurds planning to establish their own state will barricade its territorial connection with other Middle Eastern states if it shall become a reality. The PKK has long been fighting for its independence before the war in Syria began.